In association with House of Fraser, I was asked to consider what I would dress my OH in, if given the chance to dress him for the day. I have to admit I’m not great at guy clothes (I have two daughters and myself to dress) but since my OH has very little fashion sense himself, I decided just to pick out a few items I liked the look of and also in his favourite colours. The men’s shorts were actually the first thing I picked out and they were one of many great choices that House of Fraser had to offer. I like the idea that they are like cargo pants, with several pockets, but shorter than the usual three quarters he would normally wear. In fact he usually wears greens (especially camouflage print) so these blue are quite different from anything he has in the wardrobe. Next I picked out a shirt and this was from Topman. In theory I would have him just wear the shirt, but I know he likes to wear them more of an “over t-shirt” style so I picked out the t-shirt from ASOS too. I love the colour combinations and I’m pretty sure they would all suit him. Finally I picked out a few accessories. These trainer style shoes pull in the colours of the clothes, while also being pretty awesome. They’re by Ted Baker, though technically I found them on a site called Zalando. The watch is both cool and practical – and since Chris never wears a watch, I figured it would be a nice change. This particular one comes from GShock. If you could dress your man for the day, what would you pick? As the third largest city in the United States, Chicago, has come to represent all of the culture, commerce, entertainment and politics that have made this region famous. Known as the Windy City due to the constant crisp breeze that rolls in off of nearby Lake Michigan, Chicago is also renowned for some especially frigid winds that blow down the city streets during the colder months. However, you can always warm back up in a cozy Chicago hotel, and the sights and sounds of Chicago will have you on your feet far too much to let you catch a cold! Illinois’ Windy City has been wowing foreigners for many years with its many wonderful attractions. Although Chicago may not be the first choice for people going on a holiday in the US, it usually ends up being chosen for the reason that most people find it very accessible and rich in sights and sounds. The city’s attractions range from the deeply historical to downright recreational. Indeed, its mystique is working on a lot of people as shown by the steady increase in the number of tourists coming to experience the city every year. If you are traveling to Chicago for the first time, there are a handful of attractions that are certainly not to be missed. First off, the famous Magnificent Mile is a great place to start. With upscale shopping opportunities as well as the finest hotels in Chicago, it’s a must-visit location. Next, the legendary Chicago Theatre is one of the most iconic theatres in the country and a great introduction to Chicago’s thriving entertainment industry. Art enthusiasts should be sure to visit the Art Institute of Chicago with its collection of over 30,000 treasures. The gallery is one of the top in the nation and art lovers could get lost for days in this cultural gem. It houses some of the most famous paintings in the world, so it is perfect for aficionados and students alike. Chicago is a waterfront city, and you haven’t got the full experience until you have spent a little time down along the harbour, particularly Lake Shore Drive. If you’re on a budget and the weather is nice, there’s no better way to enjoy Chicago than with a stroll or drive along Lake Shore Drive. There are many parks and beaches and best of all – it’s free. The Chicago Architecture foundation run a famous tour which takes in more than 50 buildings along the riverfront and educates visitors about their history, it’s well worth a trip! Chicago is a wonderfully green city and is filled with gorgeous parks and outdoor spaces. Millennium Park, with its giant ‘bean’ as the main attraction is one such park. There are plenty of activities on offer here, such as concerts, exhibitions and even yoga! Lincoln Park Zoo is another attraction well worth a visit. The zoo is situated on 35-acres and is completely free! Over 1,200 animals call this place home, and you can see everything from Snow Monkeys to Camels here. Navy Pier, a 3,300-foot-long pier on the shoreline of Lake Michigan that was built in 1916. Today it plays host to a vast range of activities and events, including tall ship exhibitions, restaurants, a giant Ferris wheel, and a cinema. During a visit to the city, it is advisable to have a Chicago Go-Card it is important so you can get to the must-see places conveniently. Whether you’re traveling with the family or with your partner, you’re sure to find Chicago an unforgettable place. Chicago and the surrounding area are filled with little neighbourhoods that have a culture and a language all of their own, and you’re sure to find the perfect area that matches your tastes and lifestyle. Like most cities of this size, Chicago can be slightly dangerous in some areas, so just be sure to ask around before you set off to explore on your own. In saying that, you will find that vast majority of residents in the city are unusually warm and welcoming. The shabby chic look is incredibly popular right now. People everywhere are ditching their IKEA furniture and snapping up old bits of antique furniture, purely so they embark on a furniture restoration project. There is no doubt that distressed furniture is a really cool look, but if you don’t know the difference between milk paint vs chalk paint, or you are not sure which paint to buy from www.realmilkpaint.com, where do you begin? The shabby chic look is ideal for any piece of furniture, with the exception of modern veneer items. Basically, as long as the piece is solid wood, you are ready to go. So take a look up in your attic and see what you can find, or start hunting through garage sales or junk shops. One man’s unwanted furniture is another man’s shabby chic masterpiece! Once you have found your perfect piece of furniture, you need to prepare the surface. The item needs to be clean, so wash it thoroughly with some soapy water and leave it to dry naturally. If there are any holes or cracks, fill them, and if the item has metal hinges or handles, remove them for now. Pre-painted or varnished pieces of furniture need to be sanded down. You don’t have to go too far overboard, as a bit of paint or varnish will give you a nice distressed look with zero effort on your part, but it is a good idea to apply sandpaper to the surface so the paint has something to adhere to. There are lots of boutique paints in the stores. Chalk paint comes ready mixed in a can. It doesn’t need a primer as it grips well to non-porous surfaces. Milk paint comes in powder form, so you mix only what you need. Milk paint doesn’t grip well to non-porous surfaces, so you may need to add a bonding agent to the mix. Both paint finishes will benefit from a final topcoat of wax or oil. Both paints produce lovely finishes and both are easy to work with. Ultimately, you should try both and see which one you prefer, as it is a personal choice. To create the shabby chic look, you need to add some resistance to the surface of the item, as this prevents the paint adhering. You can do this with oil or wax. Use a wax candle to rub over any areas where you want the base color to show through. Apply a base coat of paint and follow this up with a second coat. If you want a two-tone look, use a darker color as your base coat. To distress the surface, use some fine sandpaper to rub away the top coat of paint. You can also mark the surface using sharp tools and fill in the cracks and holes with tinted wax. Once your restoration project is complete, invite family and friends over to admire your handiwork! Now with smart phones and tablets taking over the digital world, it’s more important than ever to stay on top of things. Although we have our basic apps to take care of the every-day basics, we’re often left using our devices as means of entertainment. However a few weeks without checking the charts, or asking ‘What’s new’, and we feel lost. That’s where we come in to play. We’re bringing you the best- old and new- apps to download right now. Your social life might take a hit, but who wants one anyway? Especially when you can cosy up in bed with your wide selection of apps to keep you occupied, right? The Pickle Index is a story-based game that allows you to play a host of mini games. The narrative involves a dictatorship, and it’ll leave you hooked for days. Don’t say we didn’t warn you. Whether you like it or not sports has, and always will have its place in the entertainment world. With Wimbledon, Euro 2016, NBA Finals and many more major sporting events taking place, browse the sports entertainment options. You can keep up with statistics, highlights, games and special features. If that’s not enough there’s dozens of slots to pick from on brilliant casino and e-sports sites. Have you ever been left up at night, listening to music, questioning the meaning of life? We all have. Just what did that artist mean, we wonder. 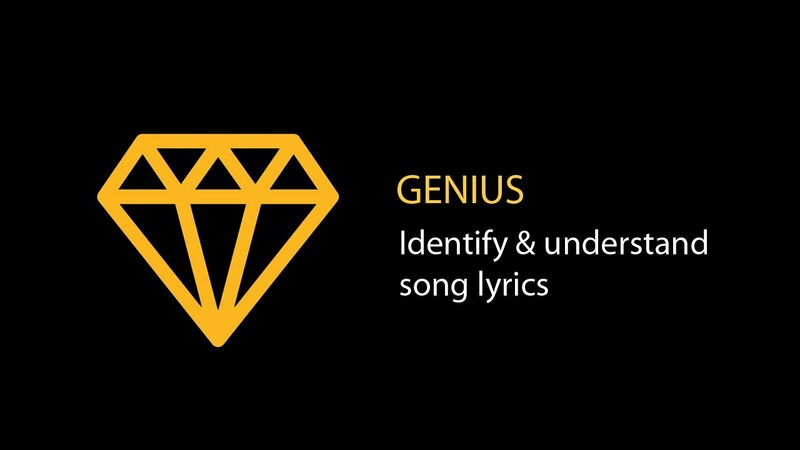 Well, Genius allows you to look at the meaning behind over 1.7 million of your most favourite songs. Whether it’s that significant R&B song you can’t get out of your head, or that hard-hitting rap verse, you can find out exactly what Alicia Keys and Drake have been telling you via your headphones all along. We all still crave some old-fashioned entertainment, right? 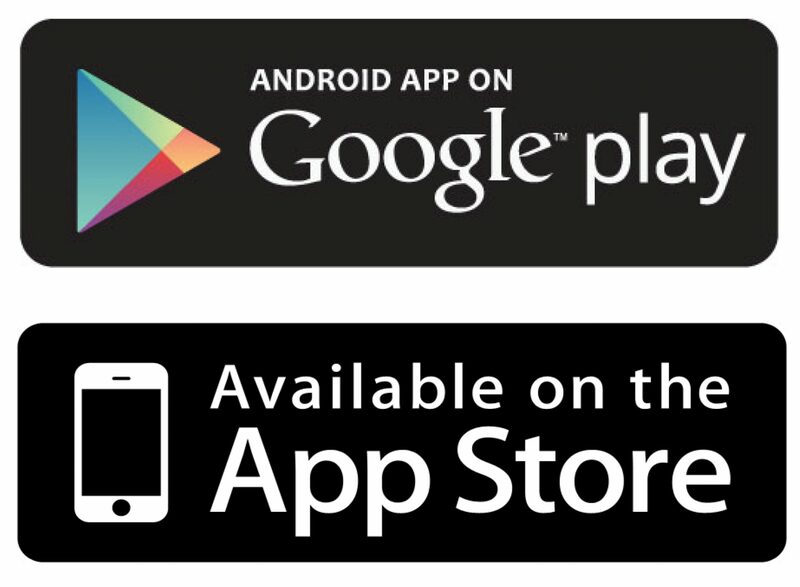 Whether you’re looking to organise the old, or new, entertainment you want to explore, Soon is the app for you. It lets you make a list of things you keep saying you’ll see to ‘soon’. Whether that be television shows, films to analyse, books to read, songs to listen to, it puts it all in one place. If that’s not enough, you can explore the things that everybody else is planning on doing. What’s not to like. Netflix is still the king of entertainment apps. 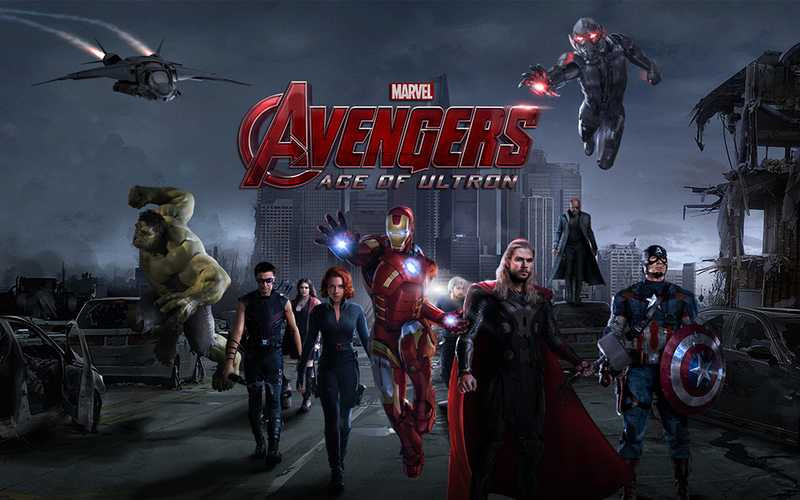 You can watch it via your iPhone or iPad, and the app recommends TV shows and films based on your preferences. There’s new series, exclusively owned by Netflix, and many movies, or kids’ shows you’ve been dying to watch again. Netflix has, and always will, be the king of entertainment apps. Enjoy your entertainment-filled summer, guys. In this day and age, we take a lot of tech for granted. My phone is pretty much an extension of my hand and watching TV, playing on a console or even making a cup of tea, are all often taken for granted. As a celebration of all things electrical, I wanted to share my top 5 appliances that I use pretty much every day. As I mentioned, this is really an extension of me most days. While I hardly ever make or receive calls on it, I use it to text, check social media, play games and keep up to date with my Etsy Store (amoungst other things). I use it as my every day camera to take pictures of my work, the girls or even video the odd thing here and there. While I can’t always keep up to date with the latest iPhone make, I do try to. I’m currently on an iPhone 6 Plus. Its a bit of a cheat lumping these together, though I actually put them all together with my phone anyway. I use my laptop to blog, to browse the internet, to fiddle around with photos and to update my listings on Etsy. Although all of those things are also possible on my iPad, I don’t tend to do them there. However I do use my iPad to browse Ebay, Etsy and Amazon as I like the apps. I also play games and stream TV pretty much constantly while I’m working. There’s not a day that goes by when I don’t use the kettle (unless I’m not at home obviously). I don’t function well without my cup of tea first thing in the morning and to be honest if I’m around the house in the day, I drink tea every few hours. I recently got a new red kettle and it glows blue when its on. I think its the most favourite kettle I’ve ever owned. Considering I sew pretty much every day, it’s probably not too much of a surprise that I use my sewing machine a lot. Though there are days when it isn’t used, I often feel like I spend more time in the dining room than I do in any other room of my house (even my bedroom!). I bought a new sewing machine in the last year and it’s been an absolute dream to use. I often choose to sew, even when I don’t have any orders, just because I actually find it incredibly relaxing. Though many might have assumed the TV would be on my list, my printer definitely comes in ahead of the TV (partially because I watch a lot of programs on my iPad as I mentioned before). However I use my printer for so many things in every day life, from printing out tickets, murder mystery parties, homework, sewing ideas, holiday planning and so much more. I bought my printer about 2 years ago from PC World and to be quite honest I was just looking for the cheapest “all-in-one” printer I could find. I settled on a HP Envy 4500 Series, partly because of its price but also because of HP Instant Ink. HP Instant Ink has been an absolute lifesaver for me. I always used to run out of ink cartridges at the worst possible times and I’ve had endless trips out at ridiculous times of day, just to buy the essential cartridges. That said I was also the person buying cheap replacement ink, as full price branded cartridges can work out so expensive. However not any more! Since getting my new printer, I signed up to HP Instant Ink. There are various plans and I tend to switch between £1.99 per month for 50 pages and £3.49 for 100 pages, depending on how much printing I have to do. When my cartridges get low, HP ship out cartridges for me in plenty of time and I can hand on heart say I have never run out of ink. Each month you can change your plan, or you can even just pay per 10 pages if you go over. Unused pages roll over to the next month and it really is a great system. If you’d like to know more, you can watch the video below or click here for more information. Spring is here. In a few months it will be time for the family vacation. Now is a good time to book, if you haven’t done so already. It’s also a good time to plan ahead and look at the kind of activities the whole family can enjoy. When planning your family summer adventures, think about each member. What are their interests? Do they have similar hobbies or are they very different? Try to include something for everyone. Organising pursuits ahead of time is a good idea, especially if you need to hire equipment. Some holidays may include this part of the package. If you’re going self-catering and are planning everything yourself, it’s a good idea to do a little advance research. Walking is something that can be enjoyed at most destinations. If you’re intending on embarking on more than a gentle stroll, there are a few things to take into consideration. Make sure you pack walking boots and rucksacks. Try to wear walking shoes before you go away. This will avoid painful blisters during the holiday. Rucksacks or light bags that can be slung over the shoulder won’t get in the way when you’re walking. Check some routes ahead of time and make sure you pack enough food and water for the day. Make sure you’re fully aware of any safety issues such as tide times and terrain etc. Cycling is a fun activity the whole family can enjoy. If you’re travelling abroad, then it’s likely that you will need to hire bikes and equipment. Book this in advance to avoid disappointment. Check with the provider as to exactly what is provided. Make sure it includes helmets and other safety equipment. You will also need to become familiar with routes before setting off. Make sure they are suitable for the whole family, especially if you have young children. When packing, remember to include clothing suitable for this activity. Click here for detailed information on cycling with your family. There are lots of different water sports to enjoy with the family. For example, swimming, snorkeling, surfing, and canoeing. Choose sports that are suitable for everyone. Safety will be key and so check with providers regarding provisions. Find out about booking procedures and if necessary, book in advance. It isn’t all about being active during your holiday. Remember to factor in some relaxation. Enjoy time by the pool or at the beach. Take a pile of books or load up your e-reader and just enjoy your surroundings. This can be interspersed with gentler activities such as beach football or volleyball. Some hotels provide childcare provisions and activities for kids. There may be some days when you enjoy a spa day or time to relax. And you can rest assured that your children are also enjoying themselves. Planning holiday activities is all about being organised and proactive. Advance preparations will save time and will help when it comes to packing and budgeting. Set up a range of different activities that everyone can enjoy. And remember to factor in some free time. Avoid being too rigid. Spontaneity is also good and those days are often the most memorable. Just a quick note to say I won’t be blogging much this week and next! We’re in the process of getting some DIY done, in order to get our house on the market. We’ve got loads to do, I’ve even closed Closet Geek for a while and so I won’t be online much either. I hope to be back with an update after Easter though so watch this space!